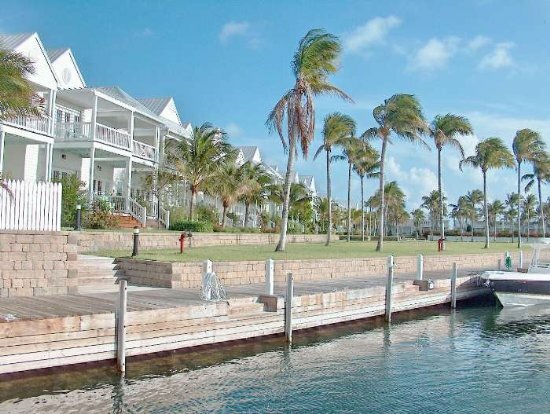 Indigo Reef in the Marathon, the heart of the Florida Keys is a lushly landscaped, gated community. * Heated Pool * Gulf Front Location * Gated Community * Exercise room * Wireless internet * 31' Boat Slips INDIGO REEF LUXURY resort homes were established in 2006. There are 67 luxurious homes nestled into 15 tropically landscaped acres on the Gulf of Mexico at MM 52.5. Whether you fly into Marathon's private airport, drive from the Miami airport, come by boat or drive INDIGO REEF is readily accessible for your Tropical vacation. INDIGO REEF homes are the perfect place to relax and unwind after a day of fishing. All Indigo Reef homes come with a deeded 35 foot boat slip on the Gulf of Mexico, with water, electric and fish cleaning tables at the docks. In order to maintain the tranquil feel no unsightly trailer storage is allowed on the grounds. Coco Plum Vacation Rentals will assist you in locating reasonable storage for your trailer as well as directions to boat ramps and in and out services. 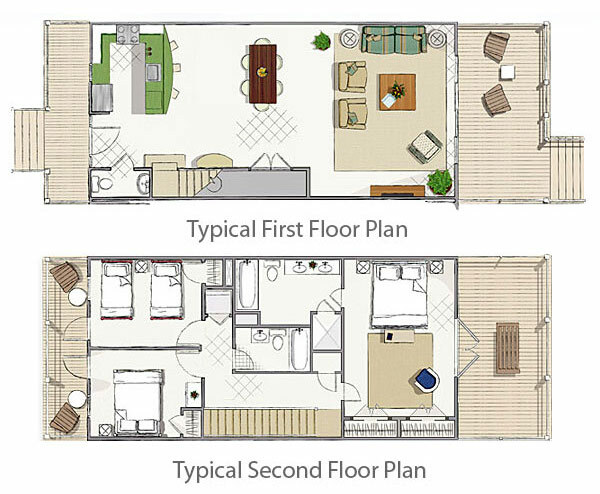 All Indigo Reef homes are 3 bedrooms and two and a half baths. They are 1600 square feet and designed with an eye for your vacation pleasure. Quality finishes like tile floors, granite counters, stainless steel appliances and flat screen TV's are what you can expect to find. Double decks on the rear of the homes are a favorite place to gather for evening cocktails or to take in the famous Florida Keys sunsets. The homes are all two story and include amenities like washer and dryer, high speed internet, DVD players, and comfy beds. The tropical furnishings and accessories will evoke the island feel and melt your cares away. Located near the Boat House Marina where you will find diesel fuel, dockside fueling, boat storage, boat ramp and ice. Get gassed up and hit the water for a day of fishing in the Fishing Capital of the Florida Keys...expect to catch Dolphin, Grouper, Tuna Snook and Amber Jacks. Or try your hand at the back country for Tarpon, Permit and Bonefish. Check out some of the other area attractions like the Dolphin Research Center or the Turtle hospital nearby. Indigo Reef is located at 11600 Overseas Hwy in Marathon, Florida 33050 on the Gulf side of the highway. From the North get on US 1 south and come down to MM 53 or so, pass the light a Sadowski Causeway, go over the Vaca Cut and then turn right on 117th, go around the bend and the gates will be on your right.